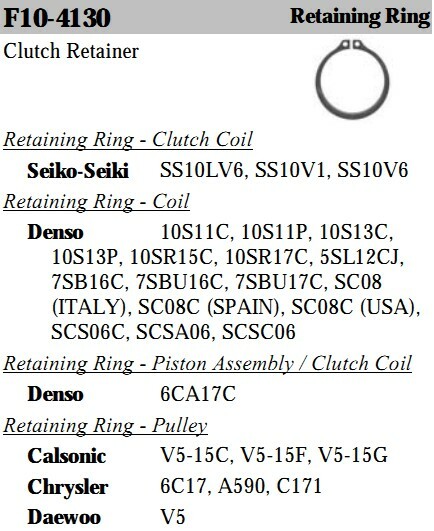 Denso: 047200-3523, 047200-4033, 047200-7480, 047200-9432, 10P08E, 10P13, 10P13A, 10P13B, 10P13C, 10P13E, 10P13F, 10P15, 10P15C, 10P15E, 10P15F, 10P17, 10P17C, 10P17VC, 10PA17, 447200-4292, 447200-4294, 6P127A, 6P127B, 6P127D. 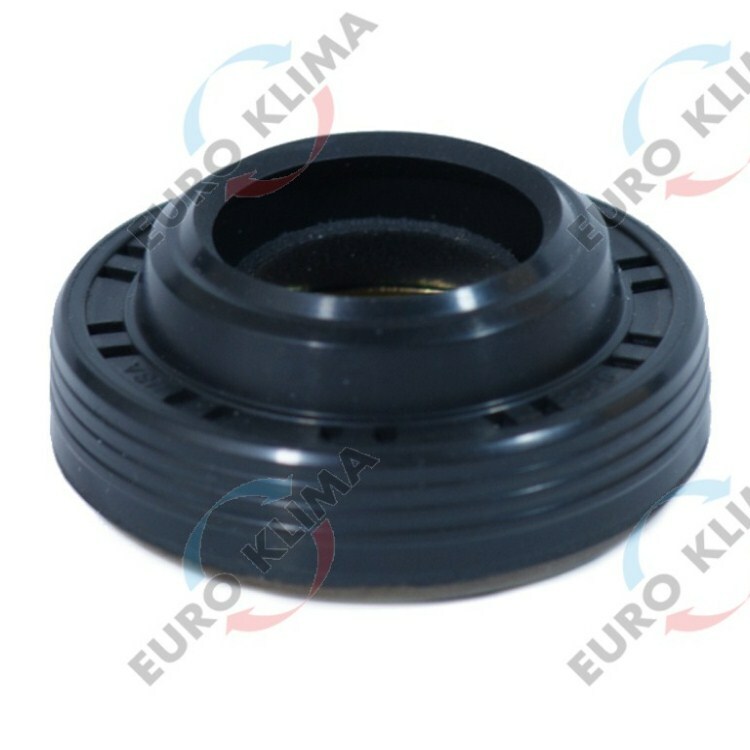 EUROKLIMA: CA153, CA160, CA162, CA166, CA168, CA169, CA170, CA304, CA305, CA306, CA307, CA309, CA310, CA507, CA508, CA512, CA513, CA514, CA515, CA550, CA557, CA558, CA559, CA561, CA563, CA564, CA572, CA577, CA578, CA608, CA616, CA628, CA631, CA634, CA636, CA638, CA640, CA646, CA72732, CA78348, CA78349, CA864. 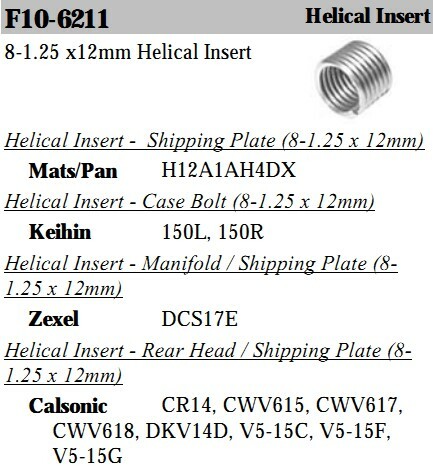 Santech: H20-7841, H20-7955, H20-7961, H20-7962, H20-7963, H20-7965, H20-7966. 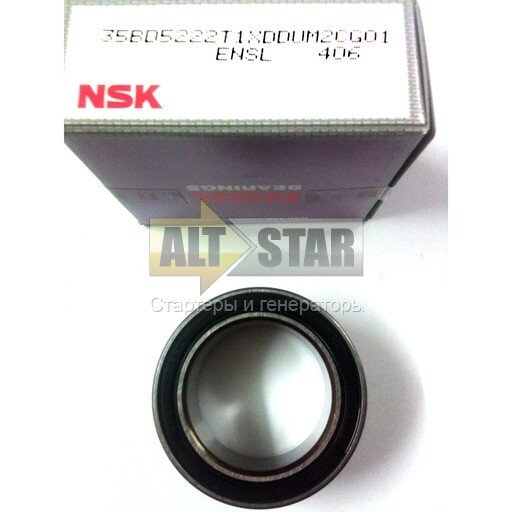 Nsk: 35BD5222DDUM18A, 35BD5222T1XDDU, 35BD5222T1XDDUM2CG01, 35BD5222T1XDDUM2CG01ENSL5. 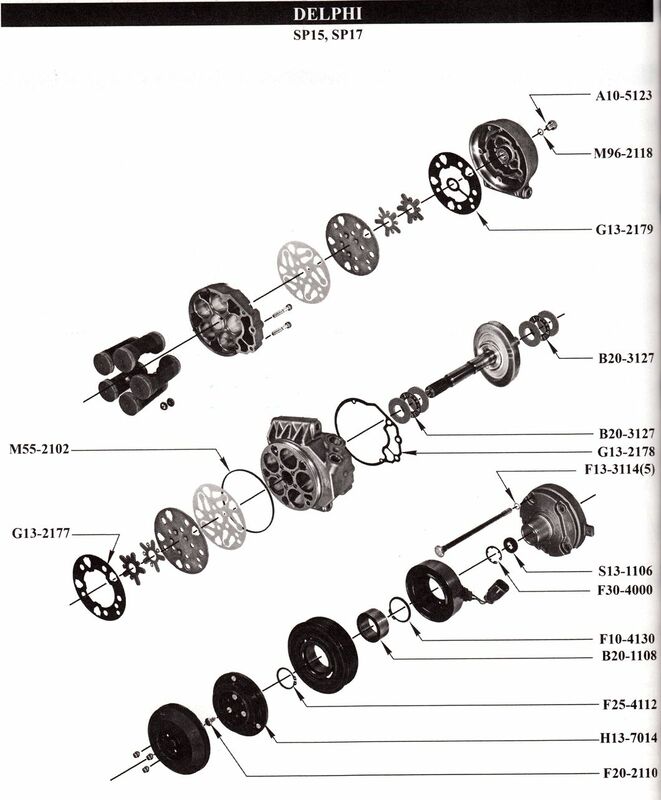 Denso: 10PA15A, 10PA15C, 10PA15E, 10PA15L, 10PA15LC, 10PA15SC, 10PA17A, 10PA17C, 10PA17E, 10PA17H, 10PA17J, 10PA17K, 6CA17C, 6SEU12, 6SEU12C, 6SEU14C, 7SB16C, 7SBH17C, 7SBU16C, 7SBU17C, 7SEU16, DCP02006, DCP05077. 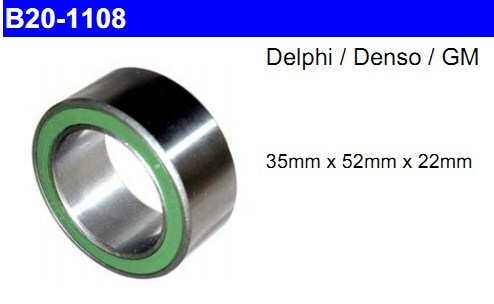 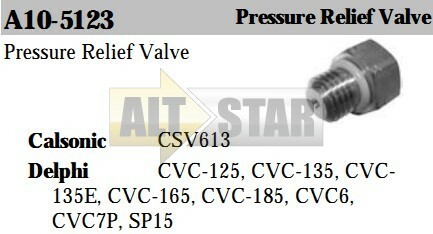 Delphi: CVC-165, CVC-185, CVC7P, SP15, SP17. 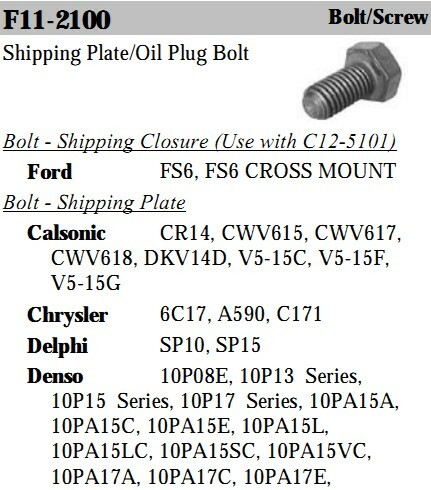 Denso: 10PA15A, 10PA15C, 10PA15E, 10PA15L, 10PA15LC, 10PA15SC, 10PA17A, 10PA17C, 10PA17E, 10PA17H, 10PA17J, 10PA17K, 6CA17C, 6SEU12, 6SEU12C, 6SEU14C, 7SB16C, 7SBH17C, 7SBU16C, 7SBU17C, 7SEU16, DCP02006. 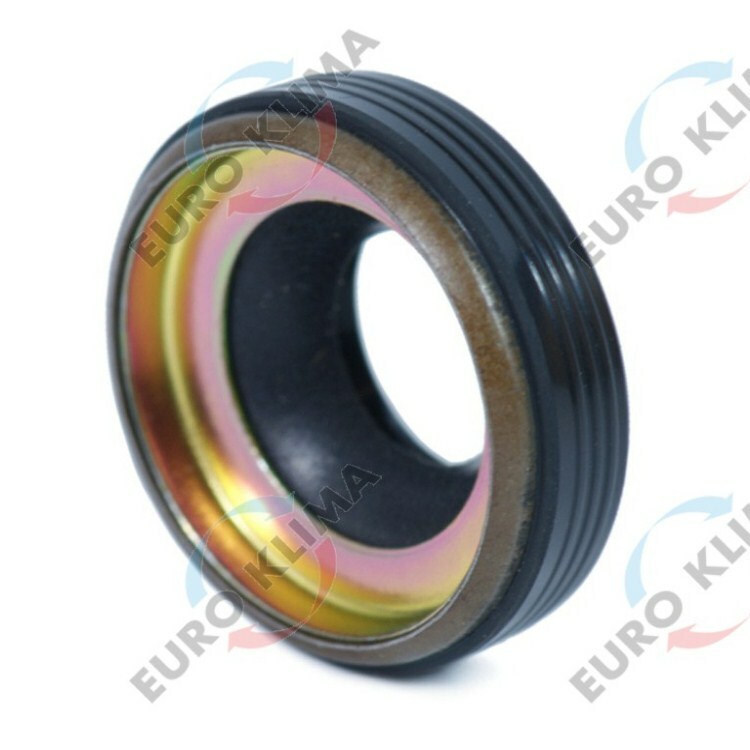 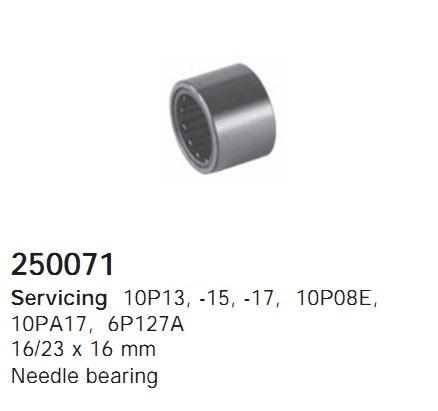 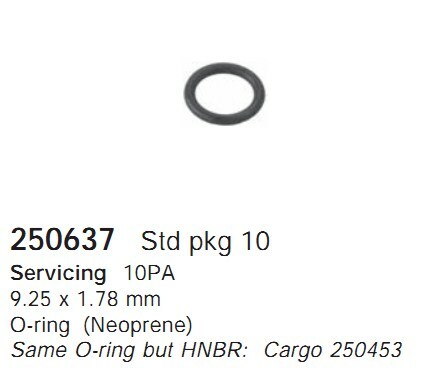 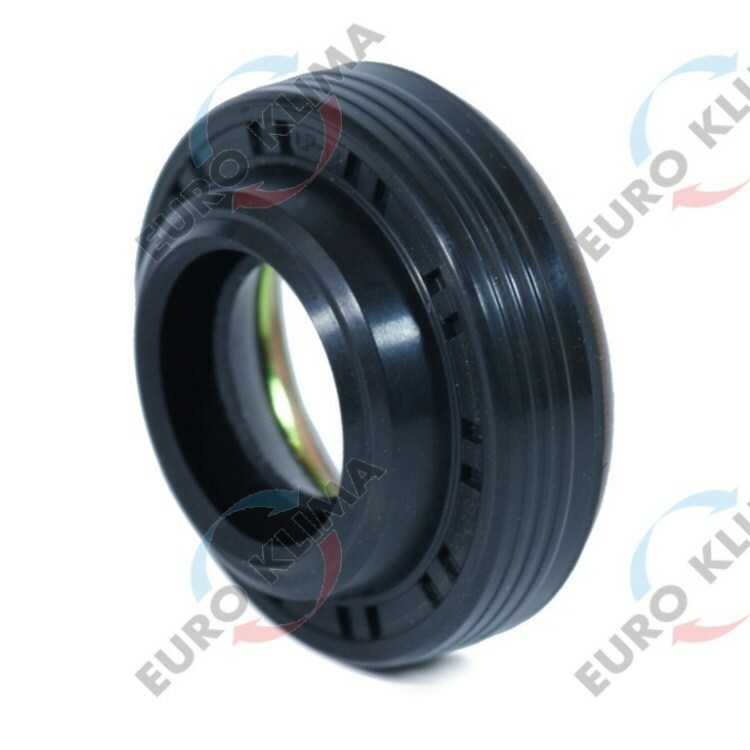 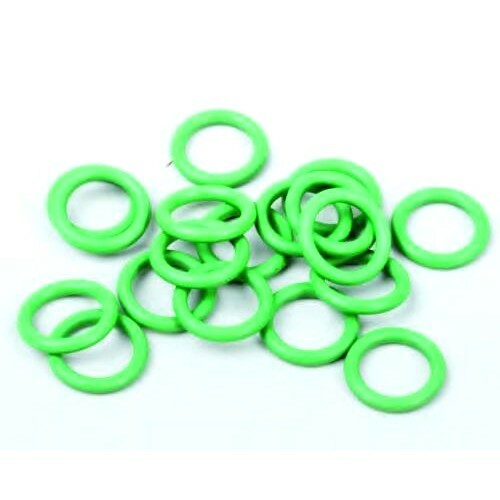 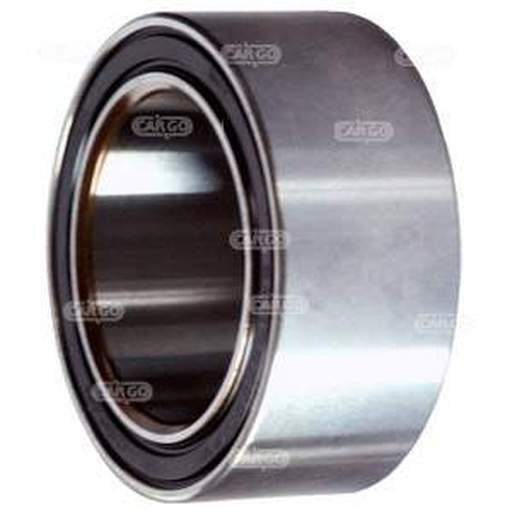 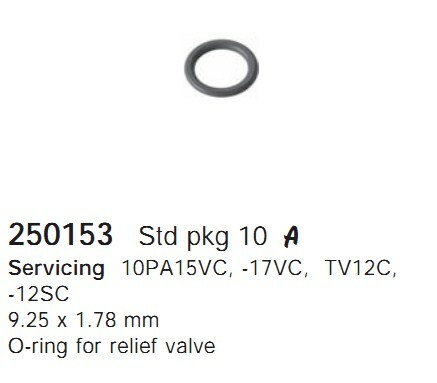 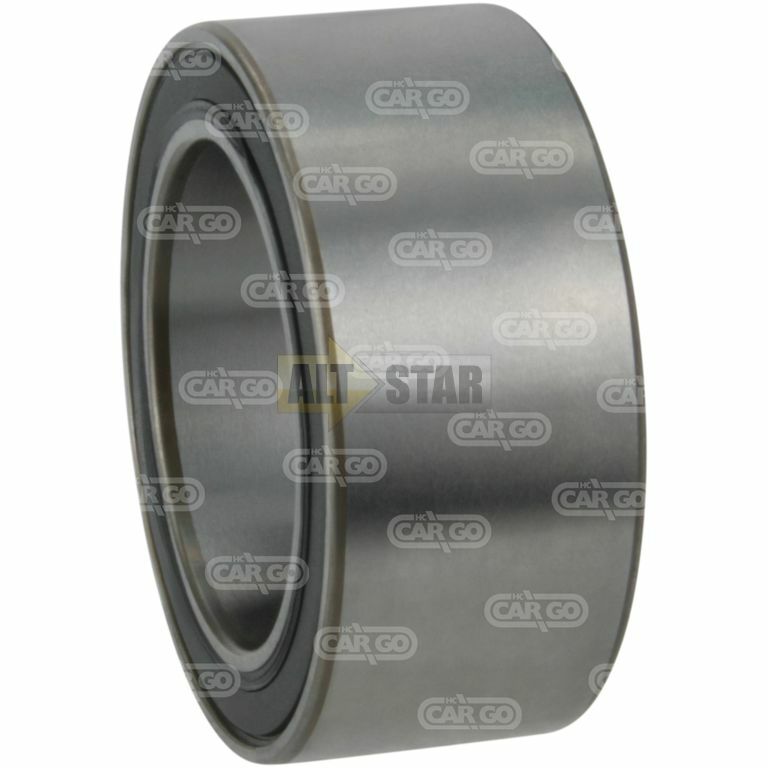 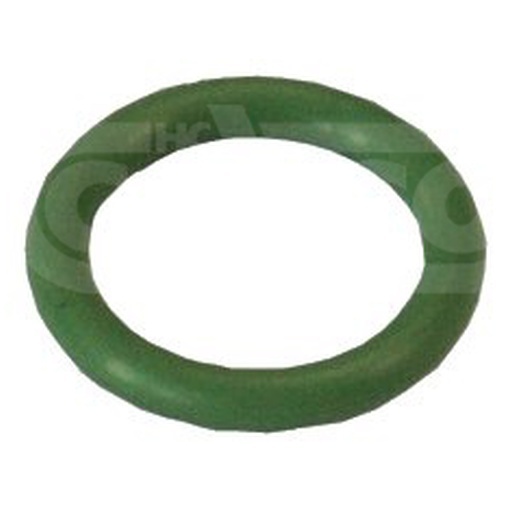 Denso: 10P08E, 10P13A, 10P13B, 10P13C, 10P13E, 10P13F, 10P15C, 10P15E, 10P15F, 10P17, 10P17C, 10P17VC, 10S11C, 10S11P, 10S13C, 10S13P, 10SR15C, 10SR17C, 5SL12CJ, 5SL142, 6CA17C, 6E171, 6E171A, 6P127A, 6P127B, 6P127D, 6P134, 6P148, 6P148A, 6P148C, 7SB16C, 7SBH17C, 7SBU16C, 7SBU17C, SC06SA, SC08 (ITALY), SC08 (SPAIN), SC08 (USA), SCS06C, SCSA06, SCSC06. 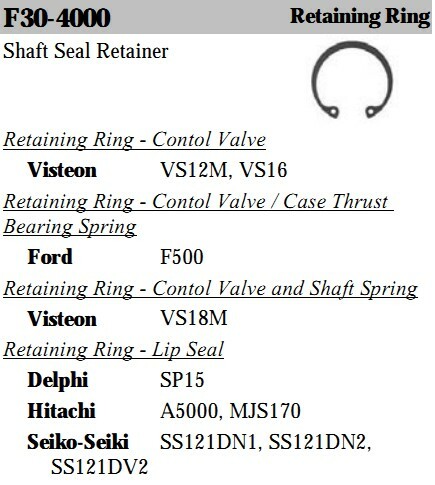 Hitachi: A5000, MJ110, MJ123, MJ167, MJS130, MJS170. 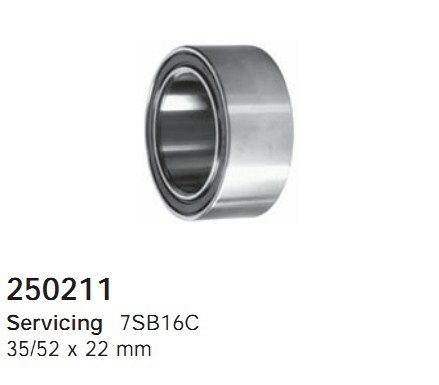 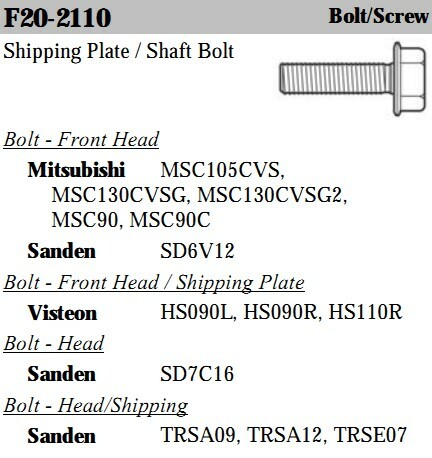 Sanden: SD505, SD507, SD507A2, SD508, SD510.